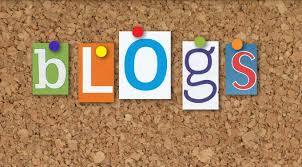 This page features links to blogs that are relevant to legal education. It will be progressively added to. If you have any suggestions please email Project Officer Julian Laurens by clicking here. Launched by a group of UNSW Law academics in 2013 as a platform for educators, professionals, students and scholars to discuss issues around legal education in Australia. Lawschoolvibe aims to share information and provoke debate around the challenges facing modern law schools, such as mental health, the legal job market and best practice teaching methods. S|M|i|L|E is a new collaborative project involving Australian legal academics. It was begun in July 2014 after discussion between Kate Galloway, Melissa Castan, Melissa De Zwart and Kristoffer Greaves at the 2014 Australasian Law Teachers Association conference. The project aims to promote and support the integration of social media into legal education. This blog is by Kate Galloway, Associate Professor at Bond University and one of the Project Leads for the Legal Education Associate Deans Network. In addition to looking at property law, women and the law and contemporary legal issues, Kate regularly blogs about legal education. A substantial Australian blog that provides discussion of a number of areas to do with law, gender, society and the profession. In particular the blog has a section that looks at legal education and related matters. Run by Melissa Castan at Monash. A key resource of the blog is that it provides links to a considerable number of other Australian law blogs (not necessarily ones that deal with legal education). This well established Australian blog is by Kristoffer Greaves. In focuses particularly on practical legal education. The Wellness Network for Law is made up of legal academics, practitioners and students who are concerned with addressing the high levels of psychological distress experienced in law and promoting wellness at law school, in the legal academy, and in the legal profession. Kate Galloway and Melissa Castan currently provide admin.